Social Media's Rush To Judgment In The Boston Bombings : All Tech Considered As Internet users injected themselves into the investigation of the Boston Marathon bombings, false rumors began to spread about possible suspects in the attack. One of those falsely accused in social media was a 22-year-old Brown University student who has been missing. The general manager of Reddit has now apologized to the student's family. Brown University student Sunil Tripathi, who has been missing since March, was wrongly identified in social media as a suspect in the Boston Marathon bombings. Reddit has apologized to Tripathi's family "for the pain they have had to endure." Last week, the New York Post ran a front page photo of two teenage runners under the headline "Bag Men," implying that they had something to do with the Boston Marathon backpack bombs. It turns out those kids had nothing to do with the attacks. But they came to the public's attention after their images were scooped up and pored over by hundreds of online amateur sleuths. Alexis Madrigal covers technology at The Atlantic, and he was watching the social media site Reddit last week as some of its users got involved in the aftermath of the Boston attack. "People at, not just at reddit but at 4chan and other Internet forums, decided that they could help with the investigation by taking all the photos that had come out of the bombing, combing through them and looking for — I'm sort of air-quoting here — suspicious characters. People carrying backpacks, people who might look like a terrorist," Madrigal says. Even in the beginning, Madrigal compared what was going on to vigilantism. "It was actually disrupting the official investigation because they were having to deal with all these sort of false suspects getting floated and people getting accused, and it just turned into a big old mess, which I think was quite predictable," he says. In fact, one reason investigators released photos of the suspects last week was to tamp down on rumors. 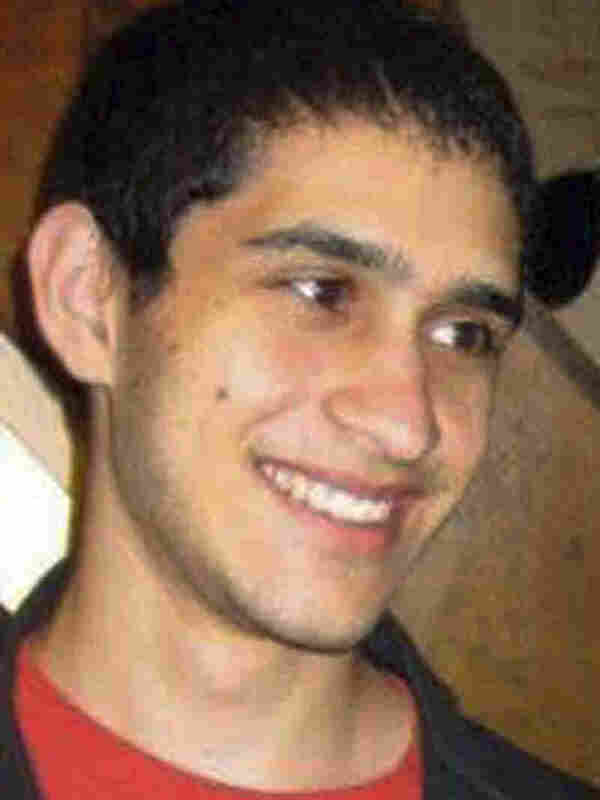 Unfortunately, Madrigal says, "people started to develop this theory that Sunil Tripathi was one of the bombers." Tripathi is a 22-year-old student at Brown University who has been missing since mid-March. The rumor was baseless, but it spread. "Buzz continued to build and build," says Sangeeta Tripathi, Sunil's sister. She and her family have been searching for her brother for more than a month. Early on they set up a Facebook page, she says, "in the hopes that one day somewhere Sunny might log on in a public library if he's OK, see the notes, and be triggered to reach out and call home." But on Thursday night, that Facebook page began to attract hateful, angry posts. Shortly after 10 p.m., the family pulled it down. By 11 p.m. that night, Boston police were closing in on the true suspects in the case. And Madrigal says the Internet was listening. "There were people who during this time were taking the stuff off the police scanner and writing it down on Reddit," he says. Around 3 a.m., tweets and posts went up online saying that Sunil Tripathi had been named as a suspect by police on the scanner. Again, this wasn't true. There is no record of police mentioning his name, but Sangeeta Tripathi says those tweets created a circus. "I personally got over 58 calls from media between 3 a.m. and 4:11 in the morning. My parents — who are very, very raggedy from the past 36 days of our lives — were getting called and emailed." News trucks showed up at their home. Sangeeta Tripathi says her family was already sick with worry, fearful for Sunil's safety and his state of mind. "Sunil, clearly, to leave your whole family and your life, one is not in a good place when one does that, and we are very, very worried about the costs of rash actions on fragile human beings," Sangeeta Tripathi says. "We hope that this doesn't happen again to somebody else." In three hours, the media siege was over. Police released the names of the real suspects. Today, the Tripathi family is still searching for Sunil. "Though started with noble intentions, some of the activity on reddit fueled online witch hunts and dangerous speculation which spiraled into very negative consequences for innocent parties. The reddit staff and the millions of people on reddit around the world deeply regret that this happened. We have apologized privately to the family of missing college student Sunil Tripathi, as have various users and moderators. We want to take this opportunity to apologize publicly for the pain they have had to endure. We hope that this painful event will be channeled into something positive and the increased awareness will lead to Sunil's quick and safe return home."